Content, content, content. The internet is awash with it, but what makes a successful example of it? 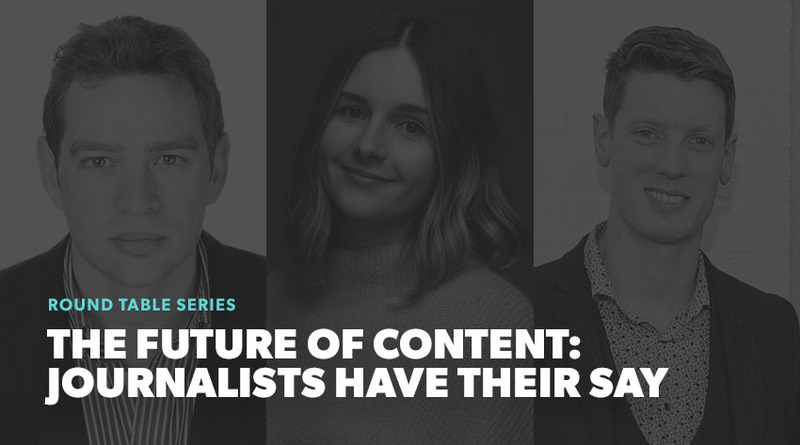 How do brands ensure the pieces they create achieve the best possible success, and what is the future of content and its distribution? To answer these questions, we enlisted the help of some experts from the field of journalism, where the quality and success of content is forensically judged on a daily basis. Previously Editor of Yahoo Finance UK and Content Editor at MSN Money, James is Editor of Mirror Money Online and has more than 10 years’ experience in online financial journalism. As deputy blogs editor, Aimee Meade focuses on the UK’s current affairs blogs and has launched the Life Less Ordinary series, which shines the spotlight on people with powerful human interest stories. Paul is the Digital Editor for Johnston Press East Anglia and East Midlands with responsibility for content platforms for JP titles across six counties. 1.What is the key to a great piece of content and how easy is it to make? Paul Fisher: "It has to be instantly attractive and engaging to the reader, whether that be a great headline, photos, video, intro or preferably all of the above." Aimee Meade: "Content has to be engaging and I think the best way to do that is through emotion. Whether it be a social post that makes your reader laugh, a video that makes them cry or a blog that makes them think, that is the content that will be remembered." James Andrews: "Impact – be it personal, financial or emotional. If you can get something that hits all of them, all the better." Meade: "You can learn the basics – such as making it concise, engaging and shareable – and analyse data to your heart’s content to understand what makes your readers and audience tick but sometimes all it takes is one human story to turn everything you know on its head." Andrews: "It’s actually really, really easy to do – if you have the right material. Getting and recognising the right material is harder." Meade: "I think the best content is reactive and captures the stories and thoughts of people – hence why I’m working on HuffPost UK blogs." 2.What is the best piece of content you have seen and what made this piece so great? Fisher: "I loved a piece from the Blackpool Gazette last year. In essence it was so simple but had such a wide-reaching interest. For whatever reason we still have a fascination with large scale demolition projects. Facebook had just rolled out their Facebook Live tool and the team jumped on it. It's so important journalists keep up with product releases and technical innovation, so it went live and brought the demolition into people's homes before being republished on the website. It reached millions of users UK-wide." Meade: "As I mentioned, emotion is what I believe content is all about and something I have attempted to capture in the blog series I created called Life Less Ordinary. In the series we hear from people who have had the most incredible and transformational life experiences – such as a woman who lost her husband, daughter and leg in a horrific speedboat accident, a retired physics teacher who ran 26 marathons around the world in alphabetical order, from a firefighter who adopted the baby he delivered on shift and a mother who met the men who killed her son." Andrews: "I live and breathe online, broadcast, print and more – so it’s basically impossible to pick one. Our best performer was interesting, though; it was a press release based on an FOI, that we didn’t pick up on the first day. We treated it very differently from the original release, and I didn’t really expect a lot from it. Then it went huge on social, was picked up (in our format) by half the rest of the news media and ended up being read by hundreds and hundreds of thousands of people." Andrews: "My best guess is relevance, surprise and impact on readers – making them want to not just read, but share with people they know." 3.What piece of content have you seen that hasn’t worked so well and why do you think that is? Fisher: "I hate it when you see a headline that is obviously taken from a print product online – no use of keyword, nothing to grab a reader, short, uninteresting, inane." Andrews: "Not counting tone-deaf pieces from people like Hopkins, Yiannopoulos and MacKenzie… Again, this is a daily occurrence so hard to pick. We publish almost nothing we don’t think will work, but sometimes the readers disagree. Take this piece on phone networks for example; it had almost universal appeal, new information, it was easy to do, solved a problem, had big savings, was picked up by the paper for print and almost no one read it. Why? Could be it was nice weather outside. Could be I just missed something. Maybe it was the wrong line to lead with or a dull picture. Maybe Facebook’s algorithm decided to suppress it. Sometimes you just don’t know." 4.Where do you look for new and emerging content? Meade: "Absolutely. Instagram and Facebook for imagery and Twitter for potential opinion pieces, but I’ll also look at what other publications and my colleagues are up to." Fisher: "Like it or not most things can be found through social media now. Whether it's created by the public, PRs or other media companies, sooner or later it's going to end up on social media. The key is being first to the punch when something does break on social and adding value, information and insight to that social post so the reader is getting more from you than had they just looked on social streams." Andrews: "As well as social media I look at emails from readers, my friends, the street, offers in shops, letters from banks, the pub, people talking on the phone near me, tip-offs from PRs, industry reports, round tables, financial statements from companies, meetings with clients… basically anything at all that sparks something in the back of your head that goes, ‘Wait a minute...’"
5.How heavily do you rely on PRs? Andrews: "I could live without them, but life would be far harder." Fisher: "They’re useful but not essential – we like to go straight to source." Meade: "I think it depends on the PR and industry or client they’re representing. A huge amount of what we do on HuffPost UK blogs is ensuring those who aren’t always heard have a platform to express their thoughts and opinions – I’ve found that sometimes we lose authenticity when we go through PRs. That said, charity PRs seem to get what we do. We love working with them." 6.What is your internal process of coming up with an idea? How to you vet those ideas? Fisher: "Experience and observation. I spend a lot of time digesting content from all sorts of different types of publishers. A lot of time is also spent looking at analytics of content. The two combined influences the amount, the style, the way and the type of content we put together. When putting new content together I have in mind what worked before, who I'm writing for and what would be engaging to that demographic of reader." Meade: "I focus mostly on HuffPost UK’s current affairs blogs so every day I will look at the top news stories and work out the best way to tell that first person, human interest account in a HuffPost way. For example, we’ve been championing blogs from EU citizens in the UK during the Brexit negotiations and heard from terrorism survivors during the recent attacks. When it comes to vetting ideas, we discuss them as a team and work together to shape the final product. That’s the best thing about HuffPost UK blogs – we work across the whole publication from video to lifestyle, tech to entertainment." Andrews: "The basic question we ask is: “Why should a reader care? Is it worth their time to read it? Can we communicate that in the headline/picture?” If it fits that, it works for us." 7.How you do you decide where the content goes? Fisher: "Each of our publications have a website which we'll then promote on as many social channels as possible, we're immensely proud of the content we produce and therefore want as many people as possible to read it. I myself regularly use Facebook, Twitter, Reddit and Fark." Meade: "Our featured blogs – approximately 15 that appear on the front page – go on both our Twitter and Facebook channels." Andrews: "Content goes everywhere – mainly because we don’t know what will work. In fact, anyone who tells you something will or won’t work with 100 per cent certainty is either lying or living in denial. We started treating benefits as a personal finance topic rather than a political one because we felt we should, and the response from readers was emphatic and unexpected. On the flip-side, we’ve run pieces about rogue loft squirrels ruining Christmas and no one cares. And then a technical piece on pensions topped our traffic charts the next day." 8.What do you think is the future of content distribution? Where do you see it going? Fisher: "Websites and social media streams that have an excellent mobile platform packed with a mix of different media while also being compatible with the next generation smart speaker, giving readers content on demand." Andrews: "Wherever readers are. At the moment they’re on Facebook and Google more than anywhere else, so they matter most. If that changes, we need to follow them – if that’s to Alexa and Amazon, augmented reality contact lenses or carrier pigeon, then so be it." Meade: "In terms of engagement I think readers like to be involved and question the ‘experts’, so I hope more debates will take place in the comments, on social media and lead to lots of great blogs. Video is obviously huge, and something we’ve fully embraced on HuffPost UK blogs with our vlogs. I think we’ll see much much more video in the future – hopefully more live streams, 360 and virtual reality too." Fisher: "VR is an interesting one. Could all news content come through Amazon Echo/Google Home and the next generation of those products?" Andrews: "Whatever the medium, great content will be about paying attention. Trying new things. Not half-arsing something if you believe in it, but realising it’s the readers that decide if it’s actually good." Then why not read some more from our Round Table Series. We spoke to marketing leaders from Dell, RS Components and the WilliamsF1 team about the importance of content marketing – the results are well worth some of your time.